Teeth work hard, and each type of tooth in your mouth has a unique role to play. Let Dr. Cofer, your dentist in Waco, TX, at Premier Family Dental, go over the function and purpose of each tooth. The information might surprise you, and you’ll certainly be encouraged to take proper care of each and every tooth! First of all, let’s talk numbers. According to the American Dental Association, children will have 20 primary teeth by the time they are two or three years old. And by adulthood, most of us have 32 teeth. For most people, teeth tend to erupt in matching pairs; in other words, the front tooth on the left will erupt at about the same time as one on the right. And interestingly, the crown of a tooth forms and appears first, while the root continues to develop. Although often taken for granted, teeth really are ideally designed tools for eating. Each one is just the right size and shape for the function it performs. 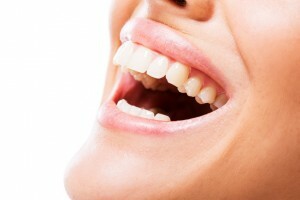 And not only are teeth designed for chewing and grinding food, they also are integral to our ability to speak clearly and have a beautiful smile. Incisors. These eight teeth that are front and center—four on the bottom and four on top. They are perfect for taking that first bite of food and they are in the lead when you smile. Canines. These sharp and pointy teeth are located on either side of your eight incisors. There are two on top and two on the bottom. They are meant for tearing and ripping food. Bicuspids. Also called premolars, these teeth are larger and stronger than both incisors and canines. They are used to chew and grind food. Molars. These are the largest teeth in your mouth and they are located at the back. With deep grooves and pits, they are perfect for the toughest foods that require more chewing and grinding. At home, each of your teeth requires twice daily brushing with a soft toothbrush and fluoride toothpaste. And be sure to floss in between each pair of teeth to remove trapped food and to prevent plaque build up. In Waco, dental cleanings at Premier Family Dental also help care for your teeth and prevent decay and gum disease. Dr. Cofer may also recommend fluoride treatments or dental sealants if your teeth are susceptible to developing cavities. To take good care of your teeth, contact Premier Family Dental in Waco, TX, to schedule a dental checkup. by: Dr. Rick Cofer at July 28, 2016 .